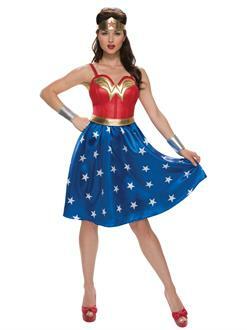 Fight against the power of Ares as the world of Man’s defender this Halloween with the Adult Wonder Woman Costume. Prove women are the greatest fighters with this Amazonian inspired regalia that serves as the basis for Diana’s iconic costume. This official DC costume features her distinctive red and blue color scheme over a set of battle ready armor.